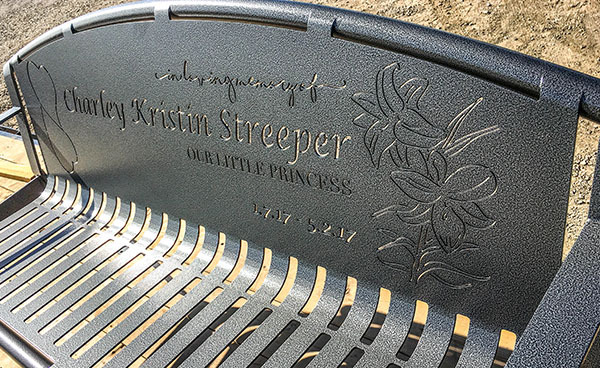 An outside memorial bench is a beautiful way to pay tribute to loved ones that have passed. 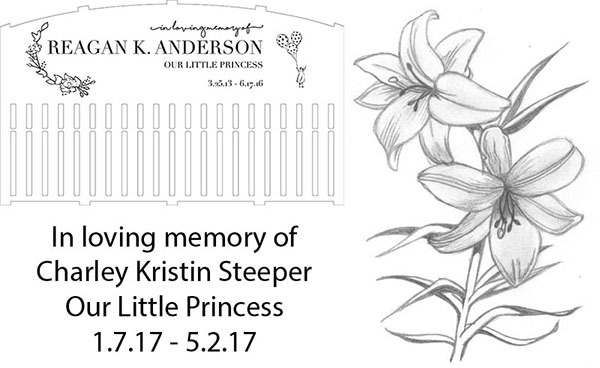 Each memorial bench is available with custom designs, colors, and size options. To get started on your order, give us a call at (801) 414-1724 or click the button below. We take care to ensure that the outdoor memorial bench will exceed your expectations. Below is an example of how our memorial bench process works. Sending us your design ideas is one of the first steps of the bench process. For this bench, we were sent a photo of flowers and an inscription to use on the bench. The Reagan Bench was also used as an example of what they liked. Our design team will take your ideas and turn them into a bench proof. This provides a realistic look at how the finished bench will look. 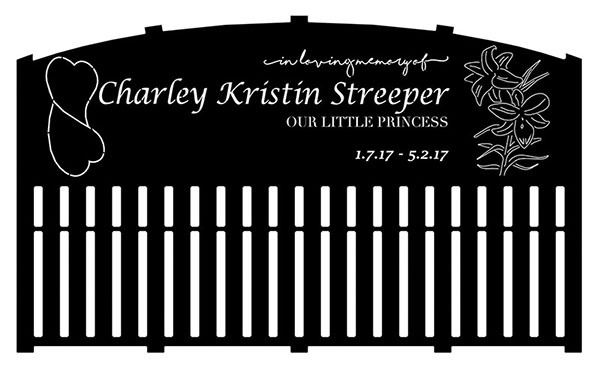 You will have a chance to make changes and approve the design before it is sent to laser cutting. The metal is laser cut and bent into shape. Arms and legs are then welded onto the bench. 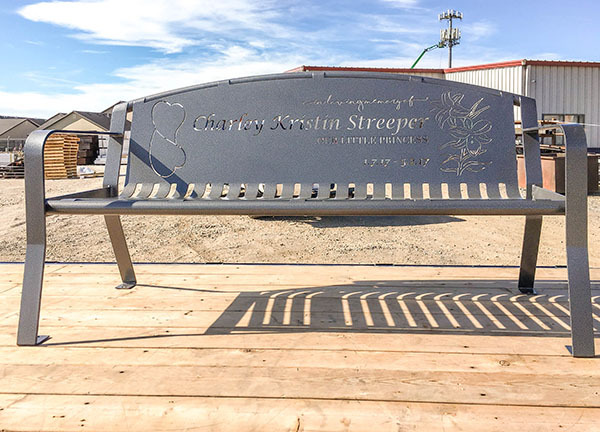 The memorial bench is then sandblasted, primed, and powder coated. Powder coat is available in a variety of color options and provide a durable finish. The outside memorial bench is designed to last for years to come. Each bench is powder coated to a durable finish. Powder coat provides a durable finish that is resistant to chips and scratches. This keeps the metal free from rust and corrosion.